The new Audi RS3 has been revealed, so we've taken a look back at the RS brand's beginnings. Click through our picture gallery above, and read about its history below. Audi’s RS brand has been deeply rooted into the hearts of petrolheads for some time now, having solidified its reputation as equal company for the likes of BMW’s M and Mercedes-Benz’s AMG divisions. But where did it all begin? After the success of Audi’s S2 coupe and the original ‘C4’-derived S4 saloon from 1991, the German carmaker decided to push the envelope further, when in 1994, Audi’s high performance Quattro GmbH division spawned a new halo performance sub-brand called RS – standing for RennSport, literally translating to ‘racing sport’. Later that year, Quattro GmbH gave birth to the first two-lettered badge Audi in the form of the RS2 Avant. A brawny variation of the Audi 80 ‘B4’ model, the RS2 Avant (only available in estate form) was co-developed with Porsche; adopting the 993-generation 911’s wheels, fog lights and exterior mirrors and Porsche-designed brakes and suspension. A highly potent car in its day, the RS2 Avant was powered by a 2.2-litre five cylinder 20-valve turbocharged engine, producing 311bhp and hooked up to a six-speed manual, shooting the car from 0-62mph in 5.4sec and on to a top speed of 163mph. The first RS-badged Audi proved a trendsetter in its day, with room for five adults, luggage and the ability to keep pace with the likes of the Honda NSX and Porsche 993 Carrera. Fast-forward six years and a new mid-size platform of the ‘B5’ Audi A4 laid the foundations for the next S and RS derivatives, the halo model becoming the RS4 Avant – again only in estate form. The B5 RS4 Avant came propelled with a Cosworth-fettled 2.7-litre V6 twin-turbocharged unit, making 382bhp. Engine aside, the B5 RS4 was Audi’s own project, having severed its ties with Porsche. The 0-62mph sprint was now dispatched in 4.9sec and the estate would accelerate on to a limited top speed of 155mph. Demand for the B5 RS4 Avant was so high that Audi doubled its production volumes. Production ceased after only a year in 2001, with over 6,000 examples made. In 2002, Audi unleashed an entirely new model to its RS line-up – the A6-derived RS6 saloon and estate. With a muscular body, aluminium mirror caps and two large oval pipes for the exhaust, both the estate and saloon had an intimidating presence. Again, Cosworth handled the engine - its 4.2-litre V8 endowed with two turbochargers for good measure, serving up 444bhp. Partnered with Audi’s five-speed tiptronic transmission, it enabled the RS6’s hefty frame to dash from 0-62mph in 4.7sec, while again being reigned in at 155mph. The RS6 plus debuted in 2004, with power increased to 480bhp and speed limited to 174mph. 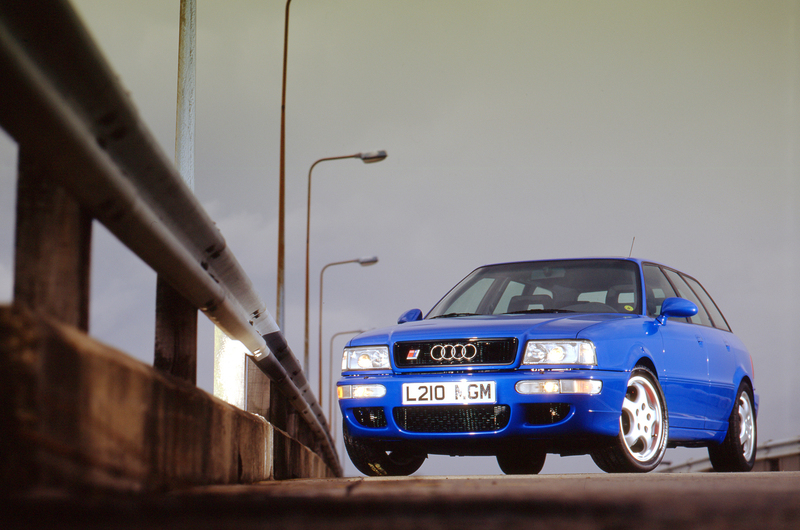 However, the C5 RS6 was plagued by vague steering feel and a heavily-understeering character. Audi regained form in 2006, when it launched the new RS4 after a long hiatus. Available in saloon, Avant and cabriolet guise, the B7 RS4 variant is still regarded as Quattro GmbH’s ‘sweetspot’ and finest RS model. Drive was supplied by an all-new, high-revving 4.2-litre naturally-aspirated V8, pumping out 414bhp at a heady 7800rpm and mated to a six-speed manual gearbox. Zero to 62mph was taken care of in 4.8sec while (still conforming to the voluntary agreement) being limited to 155mph. De-restricted B7 RS4s were capable of cracking 180mph. After just 18 months Audi brought a premature halt to the B7 production line. To this day, the beautifully proportioned B7 RS4 is fondly remembered at Autocar for its fluid ride, engaging handling and superb powertrain. In 2008, the engineers at Neckarsulm went on a power craze, launching the ‘C6’ Audi RS6 with a 572bhp twin-turbocharged 5.0-litre V10, spearheading its BMW M5 and Mercedes E63 AMG rivals in the evident ‘power war’ at that time. Despite a chunky kerb weight of 2025kg the beefy RS6 could still hustle to 62mph in 4.6sec, though even on a combined cycle fuel consumption was poor. Despite possessing very fast acceleration for such a big car, some questioned the integrity of the RS badge – it was refined, almost too civilised and heavier at the front than perhaps was necessary. The following year and Audi had the Porsche Cayman firmly locked in its crosshairs when it released the TT RS. Possessing a more anabolic appearance and a lower ride height over the standard TT with a large rear spoiler, the TT RS looked a much meaner machine. A 335bhp 2.5-litre five-pot turbocharged engine provided power. In 2012, the TT RS plus was launched, lifting power to 355bhp and removing the top speed limiter, enabling the TT RS plus to hit 174mph. The TT RS was famed for being blindingly quick, unexpectedly economical but with a jarring ride. 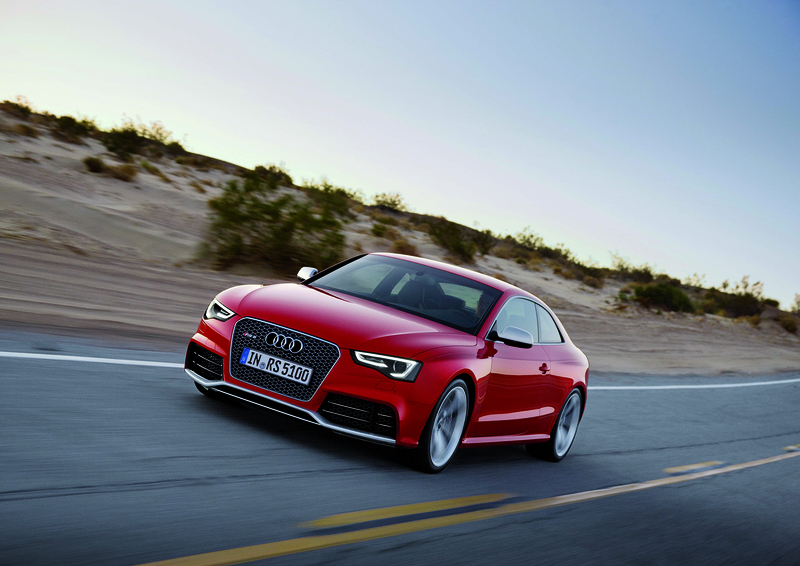 With an aim to rekindle some of the B7 RS4 magic, Audi launched the RS5 coupe in 2010. Powered by the same naturally-aspirated 4.2-litre V8 as the B7, but with mild tweaking to increase power to 444bhp with an all-singing 8500rpm redline, it was only available with a seven-speed twin-clutch gearbox. Zero to 62mph was covered in 4.6sec and it had genuine all-weather performance. However, it lacked just a touch of engagement and still felt weighty. That same year, the Audi RS3 was hastened into production. With the TT RS’ 2.5-litre five-pot turbocharged engine shoehorned into the bonnet and mated to a seven-speed dual-clutch gearbox, the RS3 proved to be a more than capable performance hatchback. Despite the engine character, everyday usability and practicality, the RS3’s dynamic prowess was dampened by its inert steering and lack of chassis finesse. In 2012, Quattro GmBH reverted back to its traditional format for the new RS4, launching it in estate form only. The styling was turned up a notch, with steroidal wheel arches, triangular air intakes on the front fascia and large oval-tipped exhausts at the rear, which added up to a wonderfully macho-looking car. It utilised the same 4.2-litre V8 444bhp motor from the RS5 with 0-62mph covered in 4.7sec while being limited to 155mph. An optional extra would allow this to be stretched to 174mph. That year also saw the debut of the C7 RS6, with Audi retiring its predecessor’s mighty V10 powerplant in favour of a downsized 4.0-litre twin-turbocharged V8 making 553bhp. Even with the reduced engine capacity, the new RS6 remains quicker than its predecessor – rattling off the 0-62mph sprint in a staggering 3.9sec and passing the quarter-mile mark just three-tenths slower than a Porsche 997 GT2. Now, with the new Audi TT RS, forthcoming updated RS3, and an ambitious target to double the RS offerings in the next 18 months, Audi looks set to continue the high-performance sub-brand's impressive legacy. And out of all of those, the one i still really want is the RS2. "Powered by the same naturally-aspirated 4.2-litre V8 as the B7, but with mild tweaking to increase power to 444bhp with an all-singing 8500rpm redline"
The B8 RS4/RS5 CFSA engine is completely different to the B7 BNS (and the R8 V8 BYS). It shares nothing other the fact that it is a 4.2 V8. It's actually related to the audi/lambo 5.2 V10 just with a couple of cylinders chopped off, wet sump and revised intake to fit it under the bonnet.